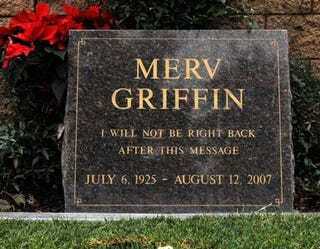 Merv Griffin, like your legal claim, will not be coming back. I am taking a short break before posting my last thoughts on choosing an attorney. So, I will leave you in the meantime with two things; a brief legal concept, poorly explained. And a request for feedback. If you post a legal-y question below (subject to the terms and conditions at the end of this post), I may answer it in a forthcoming legal blog post. Did Jello Pudding Pops really come in Nyquil flavoring? Was it legal to wear sweaters that looked like a cat threw up on them? I was always confused about irony because of that song- is it more like rain on your wedding day, or more like some guy lecturing us about morality, then getting nailed because he was an immoral scumbag, or more like Flannery O’Connor? Why the hell can’t Dr. Huxtable be charged with more crimes and sued by more people? Different crimes have different statutes of limitations. In a fairly famous case, former FBI agent James Connolly had his conviction for murder thrown out because it was past the statute of limitations (“SOL”). The jury convicted him not of first degree murder, but of the lesser included charge of second degree murder. Second degree murder was “just” a first degree felony, with an SOL of five years. Since Connolly was charged in 2005 for a 1982 killing, the prosecutors were SOL (see what I did there!). The lesson, as always, is Florida .... man, they even screw up the murder cases. But in addition to being a hoary device used for criminal procedurals on television, the SOL is important in civil litigation as well. Most civil actions have relatively short SOLs- no more than five years. And sometimes, to discourage certain litigation, the legislature will shorten the SOL for certain classes of litgation- many states have embraced very short SOLs for medical malpractice lawsuits, for example. So there are two things to know about SOLs. 1. They are not inherently unfair. The whole purpose behind them is “you snooze, you lose.” Yes, it can take time to find an attorney, decide to file a lawsuit, and so on. But we are talking about years. A statute of limitations exists both to encourage someone to bring a lawsuit within a reasonable amount of time, but also to preserve the defendant’s right to a fair trial. Memories fade, documents get lost, and a fresh lawsuit, like fresh food, is just better. 2. There are exceptions to the statute of limitations. The most common is called equitable tolling. That’s a fancy way of saying that if the Plaintiff did not, or could not have, discovered the injury that would give rise to the lawsuit until a later date, the SOL is tolled (stopped) until the discovery is made. One final note. While not very common, there is a serial killer relative of the statute of limitations called a statute of repose. A statute of repose is exactly like a statute of limitations, except for one, small, thing. The statute of repose will kill an action dead. Deader than the syndication rights to the Cosby show. There is no escape. The statute of repose can’t be bargained with. It can’t be reasoned with. It doesn’t feel pity, or remorse, or fear. And it absolutely will not stop, or be tolled, ever, until your claim is dead. Please do not request detailed advice regarding your personal legal situation. I do not care, and I will not offer good advice. And no, “You won’t believe what happened to, um, my best friend when he slipped in the shower, and I’d like to know if he has a claim against the shower head company,” isn’t a good enough dodge. I am more likely to address general questions about the law, the court system, or tacos.